Documents relating to the application can be found at South Norfolk Planning. Search under 2018/1830. It is best to start with the “Section 73 Application Statement” under the documents tab. YVS is examining the proposals closely, and observations about the application will appear on the Planning Page in shortly. The closing date for comments on the Application is 23 September 2018. You will have a chance to discuss the application at our AGM on the 12 September, (see Home page). Please be there to make your views known and influence the YVS response. The Rugby Club has so far failed to conclude its negotiations with the developer of its current facilities at Beeston Hyrne. UEA admits in a current planning application with South Norfolk District Council (2018/1830) that the “Timescales regarding when the Rugby Club will be in a position to enter into a long lease are currently unknown”. The UEA in its new planning application is seeking to split the development into two phases in an effort to secure permission for a Phase 1 which is for “additional parking for users of the sports area and nearby facilities on the NRP”. To achieve this, it is applying for a number of conditions placed upon the original application approval to be changed. What if the Rugby Club negotiations are not concluded successfully? What then is the future of Phase 2? Will a car park have been extended in a sensitive area for a facility that does not exist? Will safeguarding conditions have been by-passed? See the news item above for accessing the application documents. A dream for half a century is being realised. 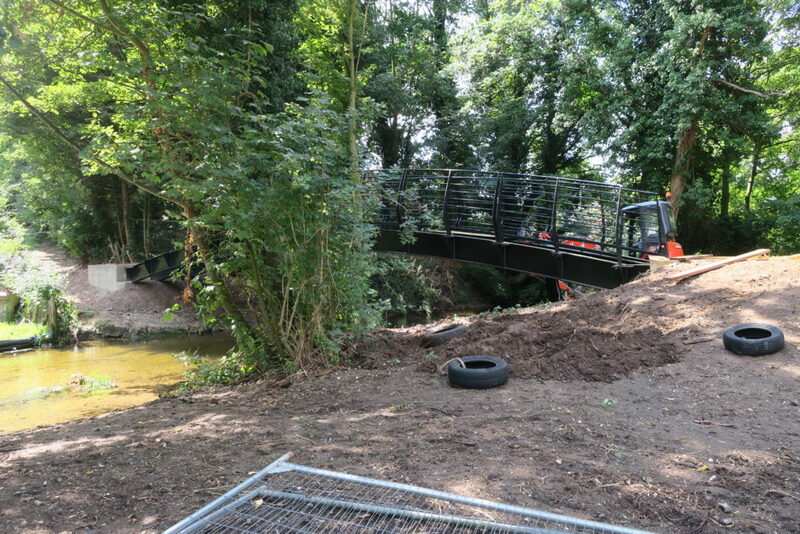 The Colney/Bowthorpe bridge over the Yare is approaching completion. After final certification and transfer documentation is completed it will be handed over to Norfolk County Council. The bridge will link the bridleway at Colney to an ancient track at Bowthorpe. It re-establishes a river crossing that disappeared many years ago. In a plan for the Yare Valley published by the Norwich Society in 1968, one of the projects was for the then existing stepping stones be replaced by a bridge. It was a project long supported by the Yare Valley Society. The dream is now being realised half a century later. UEA hope to acquire two Elisabeth Frink Sculptures, Mirage I and Mirage II to display as part of their Sculpture Park. Positioned on the north-west edge of the lake, the sculptures would be viewable from the Sainsbury Centre and the Yare Valley Walk. The unveiling of the sculptures at the Sainsbury Centre will coincide with Elisabeth Frink: Humans and other Animals, a major exhibition celebrating the work of Dame Elisabeth Frink born in East Anglia in 1930. More details are to be found in Planning Application 18/01120/F at Norwich City Planning. We have had a report of dead fish being seen in the river. If you see any dead fish in the river, or notice any other environmental incident, please note the precise details of the incident and report it to the Environmental Agency using their 24 hour hotline 0800 80 70 60. Examples of the incidents the Environmental Agency want to know about are given at www.gov.uk/report-an-environmental-incident. Norwich City Council has still to make a decision on the proposals for Phase 2 of McCarthy and Stone Phase 2 development. Norwich City Council has serious concerns about the proposals, and you can see the details of the concerns on the Planning Portal. Search under reference 18/00265/F. Click on the documents tab, and then “View associated documents”. Select document dated 10 July. Concerns include: Planning use class; Design, layout and character; Transport; Flood risk; Renewable energy/sustainability; and Open space. YVS shares Norwich City Council’s concerns and wishes them well in their continuing negotiations with the developers. The field is now formally open to the public. The City Council has consulted YVS about the plans for the field, and on the design of an interpretation board, and possible waymarking signs. Work on these matters continues. Sign design is being considered that could eventually be used for waymarking the whole of the Yare Valley Walk. A variation of the design could be used to identify circular walks based on with the Valley Walk. We have already reported on the approval by South Norfolk District Council of the Keswick Triangle Employment Zone. The development situated at it is in the Yare Valley close to Harford Bridge was very unwelcome and we submitted written objections. We have now had an opportunity to look at the details of the approval and the conditions attached. They confirm significant progress has been made towards mitigating the worst impacts of the development. We argued for all of the traffic on the Mulbarton Road to be diverted via a proposed new roundabout on the Mulbarton Road and a proposed new four-way Tesco traffic light junction. The section of the road between the new roundabout and the existing vee junction with the Ipswich Road could then have been closed to all but local access traffic. This would have provided opportunities for imaginative landscaping of the road to create a buffer between the Yare Valley marshes and the development. Unfortunately, under the new proposals traffic travelling towards Norwich will still have the option to use this section, but at least the level of traffic should be reduced. 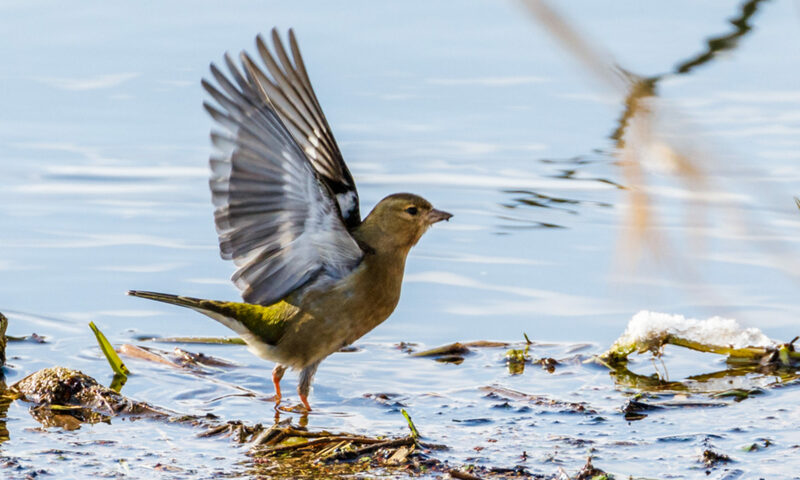 More positively, a buffer zone will be provided by woodland planting along the west side of the Mulbarton Road between the track to the small Keswick church and the Norfolk Wildlife Trust wetlands. A conservation field margin will border the woodlands. We argued for improved facilities for non-motorised users along the Mulbarton Road and kept Norwich Cycle Campaign informed of our views and objections. They submitted comments and objections that complimented ours. (Some of the early plans ignored cyclists needs almost entirely.) The proposals now include a 3.3 m wide footway/cycleway along the west side of Mulbarton road between Harford Bridge (approximately) and Mulbarton Road/Low Road (to Keswick Village) junction. The footway/cycleway will complete a safe circular route for walkers and cyclists: incorporating Church Lane, Keswick Mill, Keswick bridleway, the new footway/cycleway, Ipswich Road and Marsden Lane. It will also give safe access to the tiny Keswick All iSaints Church – an interesting detour. We continue to hold the view that this is the wrong development for this location. At least we can feel that our representations along with those of others have lessened the impact of the development and have achieved some positive gains for the recreational users and wildlife of the Yare Valley over and above what might have been. Go to our planning page for details of where to find the approved plans. Is Giant Hogweed on the march? 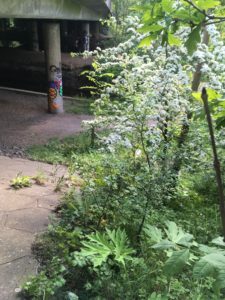 YVS member Martin Pooley has spotted Giant Hogweed growing in the Valley and has provided us with numerous recent photographs. Giant Hogweed is an invasive non-native species. The Sap can cause severe skin burns and can pose a serious risk to people unaware of its harmful nature. 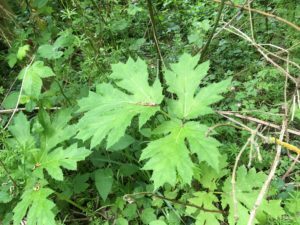 Please post pictures of any Giant Hogweed or other invasive non-native species you find in the Valley on the YVS Facebook Page. A picture or words that reveals its location would be particularly helpful. This will help us better assess the extent of the problem of invasive plants in the Valley. South Norfolk District has approved, by a 6 to 5 vote, development Application 2017/2794 Land West of Ipswich Road, Keswick. YVS and Keswick Parish Council amongst many others opposed the application on the grounds that it breached South Norfolk District Councils Planning Policies. The Policies set aside included those on the Norwich Southern Bypass Landscape Protection Zone, the Undeveloped Approaches to Norwich, and the Site Specific Allocations and Policies. The success of this application is seen as a serious intrusion into the green fringe of Norwich. This was the second application to develop on this site, the first was refused by a vote of 7 to 5. On a brighter note, during and between the two application processes some progress was made towards matters on which the YVS was pressing. More news once the 38 conditions attached to the application have been studied fully.